Due to popular demand from so many people present, we post the discussion log of the (hopefully) annual event AFRICA DAY in SECOND LIFE, serving as a platform to launch ‘Virtual Africa’ and the approach of UTHANGO to virtual worlds…After a year of being in-world, this is just the beginning! [10:40] Herald Jonson: Where can we find the clothes? [10:40] You: walk with me? [10:42] Caramba Vella shouts: And all the mean should wear a bubu! [10:43] Caramba Vella: men! not mean! [10:43] Herald Jonson: A bubu? [10:43] Herald Jonson: I’m game. But what is a bubu? [10:44] Herald Jonson: Oh, is that a bubu? [10:45] Caramba Vella: the improvement will be …. [10:46] Natty Foggarty: very nice moves Ricken! [10:48] Ricken Flow: can’t help but to dance to the great afro-rhythmns!! [10:50] Natty Foggarty: Hi Soly , you look great in boubou! [10:51] Herald Jonson: tHANK YOU! [10:52] Caramba Vella shouts: Free margaritas here! [10:57] Thursday Xu: ty alanagh! [10:57] You: Sage :)) welcome! [10:57] Sage Duncan: This is great! [10:58] You shout: we will start in a few minutes! [11:01] Herald Jonson: Alanagh, is there to be a discussion now? [11:12] You: Affluent, can we kick off by sharing with the audience WHY you think it important for an African company to be in virtual worlds? [11:12] Affluent Destiny: Thank for for the introduction Alanagh, from my part I would just like to welcome everyong to Africa Day here on Orange Island, thank you all for being here! [11:17] You: can you be a bit more specific… resources? [11:19] You: Can you give our audience an idea what is ‘affordable’ ? [11:22] You: and this is related to the lack of fibre optic cabling, yes? [11:24] You: what is the future for the african internet user? I mean, we are really ‘the priviledged’ in a way… to be here! [11:25] You: so, why wireless? [11:25] Alanagh Recreant tries not to get carried away with the questions in her head…. [11:26] Affluent Destiny: With companies like NeoTel soon opening their doors and providing more affordable services, and also improving the infrastructure (installing more Fibre lines, etc)..
[11:29] You: Are you positioning yourself in virtual worlds to play a role here – to orientate companies? Or do you see that more and more companies are leaving for other virtual worlds platforms? [11:31] You: this seem to be a global issue, rather than an African one? [11:32] You: Do you have any thoughts about HOW we can do that strategically, and still address digital divide at a grassroots level? [11:33] Alanagh Recreant invites the audience to jump in if there are comments at this stage…. [11:33] Affluent Destiny: however, there are many companies that come into SecondLife, and without previous knowledge or any help, try to set up business here, but then they fail due to using the wrong advertising methods, and generally over spending..
[11:34] Herald Jonson: Is it government corruption that makes it difficult to get the infrastructure in place? [11:35] You: any thoughts on that account from Affluent? or from the floor, even…. [11:36] You: Would you call it corruption of telecommuncation companies having a monopoly in countries, with government links and shareholding? [11:37] Herald Jonson: Are you asking me? [11:37] You: no, sorry… I was hoping Affluent may have some ideas…but you are welcome Herald! [11:38] Herald Jonson: Any sign of hope in Africa for that situation, then? [11:38] Affluent Destiny: I am going off topic here for a bit just to explain to you about governmental problems… We have been trying to get another service into South Africa.. PayPal, and after in depth discussions with both PayPal, SARS and the South African Reserve bank, what is comes down to is that they are simply afraid by allowing users to make money online and earning money via paypal without them being able to track it, it would cause many people to simply get rich, pack up, and leave..
[11:39] You: I would like to echo Herlad’s question? Is Africa doing something right in terms of access? [11:40] Affluent Destiny: You must remember that we do have very limited access due to not having enough Fibre Optics linking us to the rest of the world, but..
[11:42] You: Affluent, many people would say… why is ICT even a discussion, when Africa has so much poverty…. [11:43] Affluent Destiny: Yes, Enekai, exactly! [11:44] You: zaGenie, we have had an interesting discussion about resources and lack of infrastructure…. [11:47] Aayia Jun: What about Satellite services, wouldn’t that be, in the long run, more affordable and easier/faster to install? [11:48] ZaGenie Voom: Yes, we do BGAN as well. [11:49] You: what about virtual worlds? [11:50] You: if wifi is the future, does that mean that I need to pack up my SL?? [11:52] You: yes, but beyond Uthango…. why would it have potential if so few Africans are here! [11:53] You: explain broadband cells? [11:53] Alf gives Tura a big hug. [11:55] ZaGenie Voom: I recall the early days of Internet in Africa, many said it would NEVER catch on ….. wrong! [11:55] ZaGenie Voom: they are using a LOT to do business. [11:57] Scofield Metty: and you talk about job, but you cant get a job for a regula pay check, i mean in sl you can eanr around SL$1000 per months, how an African can make money whit that. And anothere point they dont have Credit cards, and lots of them dont put money in the bank. How will you solve that? [11:57] You: ZaGenie, you have ben invoved years ago with virtual world concepts, what is different now? [11:58] ZaGenie Voom: I don’t see why the continent of Africa cannot do well here. [11:59] ZaGenie Voom: I travelled the work for 18 years and have chosen to come back to Africa. There is a GREAT future here. [11:59] You: ok, can we return to WiFi for a moment? [11:59] You: what is happening on the continent? [12:00] ZaGenie Voom: Wimax is being “squashed” in South Africa. Not good. [12:00] ZaGenie Voom: Edge is a good, low cost alternative. Most of Southern Africa is covered. [12:01] ZaGenie Voom: Copper is definitely goind to reach a cul de sac. Too much theft. [12:01] Scofield Metty: EDGE its more for cellular phone internet connection…. [12:01] ZaGenie Voom: Not true. We have fleets of Flybooks out there with embedded edge. [12:02] ZaGenie Voom: Works like a dream. [12:02] You: what do you mean WiMax is being ‘squashed’ zaGenie? [12:02] ZaGenie Voom: 384kbs connections ok for here. [12:02] ZaGenie Voom: Mweb’s trial license was not renewed. [12:03] ZaGenie Voom: Any questions? [12:04] Scofield Metty: will u sale lab top for african? [12:04] You: Affluent and ZaGenie, I would like to ask you both… what can the average SL’er do to make it happen for Africa? [12:04] You: Or is it a question fo Africa making it happen by itself? [12:05] You: just an opnion…. [12:07] Affluent Destiny: Africa is a great country, people just tend to focus on the ‘bad’, the media especially, but look around, you will see many good things taking place 🙂 Africa is on its way up! [12:08] ZaGenie Voom: I’ll tell you how people can help. Send all your older pcs for refurbishment here. [12:08] ZaGenie Voom: There is a deluge of stuff going to the dumps in other countries. You will be amazed how well it will be used here. [12:09] ZaGenie Voom: Other countries, continents? [12:09] You: … anyone else connecting from Africa? [12:10] ZaGenie Voom: Welcome welcome! Come and see us in Africa! [12:10] ZaGenie Voom: See, SL is already working for Africa! [12:12] ZaGenie Voom: Here in Africa I’m a 4meg line and it works. 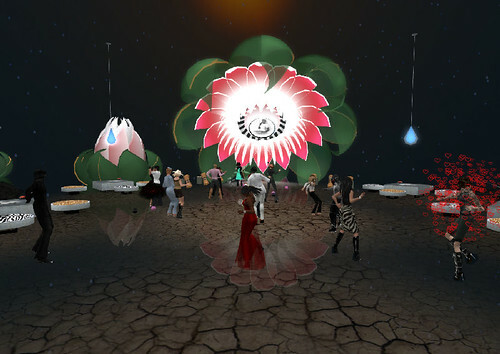 [12:12] You: How do we make it easier for africans to get into Second Life?? I mean, not Linden Lab, or anyone else… us – the community? [12:12] ZaGenie Voom: Next year June africa will have an abundance of international connectivity. [12:13] Herald Jonson: ZaGenie 4MBPS down? [12:13] You: Question: talk to us about innovation that you have seen…. [12:15] Herald Jonson: ZaGenie Nice. Will that be in South Africa? Cape Town? [12:15] Alanagh Recreant agrees with Affluent…. [12:16] Alanagh Recreant plans to share Uthango’s story inworld as a case study with others – we have learned hard lessons, I have! [12:16] ZaGenie Voom: Come and see Cape Town. Great place to be! [12:16] You: any more questions or comments from the floor? [12:17] Kwame Oh: Orientation for Africans ? [12:18] Affluent Destiny: Azra, good point you have there… I believe that Robben Island will be a sort of ‘orientation’ island for Africans joining SL, is that correct Alanagh? [12:18] Enakai Ultsch: Azra: yes! that is waht we will be doing at Virtual Afrcia…. [12:19] ZaGenie Voom: Remember, Africa is not only for Africans. About 60% of our own client base are ex-pats. [12:19] Herald Jonson: I’ve been Twittering about this event like crazy. [12:19] Licenciada Saunders: Question: If I want to direct other USA SL users to get a taste of what you offer here, what is the landmark to send them to please? [12:20] You: thank you Herald, I am too busy! [12:20] You: follow us though…. [12:21] You: I think… we are coming to a closure…. [12:22] You: the day is only starting! [12:22] You: some closing comments ? [12:22] ZaGenie Voom: No problem. Keep up the good work! [12:23] ZaGenie Voom: Yes, just one. [12:23] ZaGenie Voom: We cannot right Africa off because of it’s past and present turmoil. [12:25] NelsonW Botha: yeah…Direction an…good Coomunications! [12:25] You: I would like to remind our audience that SAGE DUNCAN is an internationally acclaimed percussionist…. and will be performaing LIVE…. [12:26] You: / VOICE will be used, so you may want to put your earphones on and pull the kids closer… or close the office door! [12:26] ZaGenie Voom: who’s going to entertain us? [12:27] NelsonW Botha: not the money itself but the hands which handle the money I would say! [12:27] You: how ready are you? [12:27] Enakai Ultsch: Lola: we are trying to expose some yputh tp the platform for educational purpouses…. [12:30] ZaGenie Voom: they need to be educated to think commercially and not along tribal politics and the never-ending race card. [12:31] Enakai Ultsch: this was wonderful! thank you evrybody!!! [12:31] ZaGenie Voom: thanks for coming! [12:32] ZaGenie Voom: where can we get a beer? [12:32] ZaGenie Voom: Sage you go Gurl! [12:33] Enakai Ultsch: Wonderfull Sage…. [12:33] ZaGenie Voom: nice accent! [12:33] Sage Duncan: I’m on Voice! [12:34] Sage Duncan: DANCE DANCE DANCE!!! [12:34] ZaGenie Voom: can I shake my Africa bootie? [12:46] You: I can kill the Quiver tree? [12:47] You: I will Tabata! [12:47] Eladrienne Laval: Thank you! It’s a Senegalese ndokette! [12:48] You: it is gorgeous Eladrienne…. [12:48] Caramba Vella: I want one! [12:50] ZaGenie Voom: oooooh, must hurt! [12:51] You: a lagged slap?? [12:51] ZaGenie Voom: No lag in THAT drum…. dang! [12:51] Autumn Beaver: none what so ever,..
[12:51] Autumn Beaver: GO SAGE! [12:53] You: / a reminder to the audience that Sage is on SL VOICE ! [12:54] ZaGenie Voom: Now put our hands in some cold water and we’ll all have hot coffee!!! [12:54] Autumn Beaver: This place is beautiful, you guys should be very proud! [13:01] ZaGenie Voom: there’s got to be more than one set of hands there? [13:06] You: thank you Sage! [13:07] ZaGenie Voom: cool the power of SL. I had no idea who Stacey Fox is. now I do! [13:07] Aayia Jun: thanks Sage, awesome…. [13:08] Alanagh Recreant imagines some of our clients in the music industry meeting Sage – ZaGenie, the marimba band over at Masiphumelele! [13:08] ZaGenie Voom: Yes, I think Sage should come and visit us in Cape Town! [13:09] Xe Oh: Hi all is the music over? [13:32] You: / thank you again to Sage Duncan for a wonderful performance! [13:50] You shout: ANNOUNCEMENT: Please join us for the second panel dicussion in 10-15 minutes! [13:51] LifeFactory Writer: This looks like a nice party! [13:51] Xe Oh: odd mix of dancing and w, what is it steel piano ann guitar? [13:52] LifeFactory Writer: Thank you. I would have liked to have been here earlier. Looks like it is a success! [14:03] Enakai Ultsch: and take our seats??? [14:03] SLinworld4 Planer: Hi Everybody! [14:04] You shout: Announcement: We will start the talk in 5 minutes! Please find a nice seat over at the Quiver trees! [14:08] You: If you click on the box, you find the speakers of the panel…. [14:08] You: it it Radio Soukous Jean, and very welcome! [14:09] You: Jean Miller is the International Affairs Manager for Linden Lab and I am really pleased to have her as a guest…. [14:10] Jean Linden: Hi everyone! [14:12] Jean Linden: by her passion. [14:13] Jean Linden: When you speak to her, you can’t help but be wrapped up in it. [14:14] Michaelangelo1 Nyle: Hi Jean Linden……. 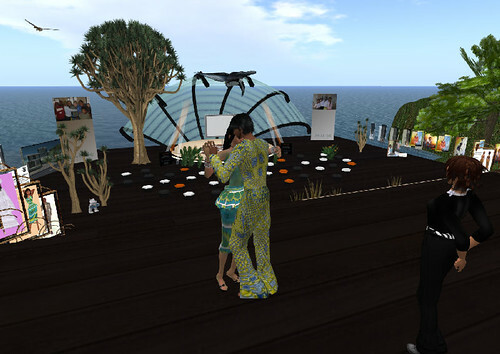 [14:15] Jean Linden: Before I came to Linden Lab, my background was in public diplomacy and virtual worlds and this may have something to do with how the Virtual Africa project initially impressed me. [14:16] Jean Linden: Alanagh’s plan was and IS groundbreaking technological, not only for Africa but for the rest of the world. [14:17] Jean Linden: I believe that this can be a tipping point project that has the potential to instigate even greater technological development as well as greater global understnading of our neighbors – and now our friends. [14:18] Jean Linden: and they have proven that all those challenges can be overcome. [14:19] Jean Linden: how beautiful Second Life can be. [14:19] Jean Linden: Thank you everyone! [14:20] NelsonW Botha: we all want the SL success…. [14:20] Xe Oh: got land mark again? [14:21] You: after this talk, we open Virtual Africa sim and will celebrate at African Rain (in Robben Island) thereafter! “New Media (including Virtual Worlds): a new voice for African cultures and ideas? [14:21] Jean Linden: thank you for the invitation!!! [14:22] You: can I suggest you stand on it Jan? [14:23] Xe Oh: is there a land mark to the Sim Jean was discussing? [14:24] You: Anna is a fellow at iCommons, which is an international technology non-profit based in Johannesburg that brings together activists, entrepreneurs and academics to work towards a free digital culture for all. [14:24] You: Some of you may know her better from Public Diplomacy project at USC’s Center on Public Diplomacy at the Annenberg School for Communication, during which time she conducted an extensive quantitative analysis of the cross-cultural interaction that occurs in Second Life. [14:25] You: Anna, would you share with us, why you believe New Media is already making a difference? [14:26] Xe Oh: Anna, I live in LA, so you are apart of the corn field project? [14:27] You: / Xe… I will give some time for those interesting question a bit later…like before? [14:27] Xe Oh: nice, and farm lab? [14:28] You: I think this is a tpic that would be of particular interest to Khoisanmermaid…. [14:30] You: Can you tell us why you think virtual worlds may have something to offer for Africans? [14:30] Khoisanmermaid Afarensis: Hello everyone, and thank you Alanagh for inviting me. [14:31] Khoisanmermaid Afarensis: Africa has been constructered, restructured virtually and psychologically – this is something which has had a great legacy on people’s perceptions of Africa in the world. I work within the African Diaspora communities now in London, and this legacy is undoubdtedly far reaching. [14:32] You: KhoisanMermaid, waht do you mean when you say Africa has been ‘restructured’? [14:34] Khoisanmermaid Afarensis: It is not until very recently that Africa is gaining a rightful place in the psychollogy of people in the world. There is still a misperception of Africa as in representation, and in how it is imagined in popular media and even in new media. This project therefore provides exciting potentially groundbreaking opportunities to intervene in the making of new perceptions on and of Africa, even if in SL. [14:36] You: Anna, I know that intellectual property rights is a hot topic in SL at the moment – if we get africans to share their stories (in order to change perceptions maybe that KhiosanMermaid refers to) how to we ensure that is done with integrity? [14:36] Khoisanmermaid Afarensis: I was involved in educational projects looking at representation both here in Europe and in Africa. Mapping, design, imaging are all integral to SL construction and can make a significant contribution to new paradigms of dialogue with and about Africa. [14:36] You: Do you have any ideas? [14:38] SLinworld4 Planer: Hello Everyone, and thanks for the invigation Alanagh! [14:39] You: Jan, KhoisanMermaid speaks about changed paradigms, and you have worked on the Virtual Africa project… and specifically on our NEW Artificially Intelligent animal there 😉 – do you think the initiative has the potential to change perceptions? [14:41] SLinworld4 Planer: I think the Virtual Africa project has a great potential to do so. So users from other countries can see how the african community represents itself, learning about their way of self-perception and represantation. [14:42] Kwame Oh: are you asking if colour, will be an issue, as in rl ? [14:44] Kwame Oh: well, i suposed if we can get past the main issues such as “exotic” etc… we could move forward, but the very nature of SL does preclude that ? [14:44] You: Are there not other mediums that is a better platform to address diversity… such as blogs and social networks…? [14:44] LifeFactory Writer: I would like to ask a question. Is the focus of SL Africa primarily on awareness-raising in the West, or is it also on facilitating the entrance of African citizens into the virtual and online world? And, Africa is diverse and surely the answer to this question varies according to country, but are there any figures on what percentage of the continent has access to the internet generally and VRs specifically? Thank you. [14:44] You: why virtual worlds? [14:45] Khoisanmermaid Afarensis: allows for an interesting kind of collective ownership of representation and self as relational to that. [14:45] LifeFactory Writer: lol, Iyan. [14:46] Anna Annenberg: with regards to IP rights, and granted I am by no means an expert, the ability to apply flexible protection rights that facilitate, rather than hinder the information evolution, can help to bring about a free digital culture for all. In a free digital culture, we can watch information evolve as people collaborate and build upon shared works to a state of near-perfection enriching the knowledge domain. I think the Virtual Africa project will definitely contribute to changing the perception of Africa. It is wonderful that Virtual Africa will be bringing in creative content, individuals, and other material that represent African culture and I think it will be a great source of empowerment for all those who participate!! [14:46] You: well, I think Anna said it best! [14:47] LifeFactory Writer: and I assume those are mostly in South Africa? [14:47] LifeFactory Writer: or perhaps north africa? [14:48] You: I know a discussion about a virtual, pixels AI animal does not fit entirely into this line… but Jan, as a software developer worked extensively on adding value to the animation of an african animal, a meerkat! [14:48] Kwame Oh: and also , to what use do that 3.4% put it to ? [14:48] Khoisanmermaid Afarensis: that can be for SL. Can we see Equitable Partnerships taking place between North and South? [14:49] LifeFactory Writer: I understand there is likely to be more access to the internet via mobile platforms on all of those millions of cell phones in Africa, more so than normal computers. Is this true? [14:49] LifeFactory Writer: haha! Sorry…. [14:49] LifeFactory Writer: we are typing over each other. [14:50] LifeFactory Writer: ok, cool…that is extremely encouraging. [14:50] SLinworld4 Planer: As far as i know, the project of the AI animal, the meerkat is unique to SL. [14:51] You: it was one of the issues I struggled with a lot…. a good looking wildlife creature, or a good moving one – not both! [14:52] Alanagh Recreant is sure the techies will be delighted! [14:54] LifeFactory Writer: I want to adopt a meerkat. [14:56] You: I ahve to confess though… we have not had 20 meerkats loose on the island! [14:56] LifeFactory Writer: do they interact with each other? [14:57] LifeFactory Writer: but they do interact with Avs? [14:57] You: yes they do! [14:58] LifeFactory Writer: I want to adopt a meerkat. [14:58] LifeFactory Writer: and is that random? [14:58] LifeFactory Writer: signs up for Meerkat session. [14:59] Licenciada Saunders: YES! Have a special Meerkat session! [15:00] Licenciada Saunders: Can the Meerkats live in any Sim? [15:00] LifeFactory Writer: can the meerkats “exist” in other sims? Or is their programming tied to on sim? [15:00] LifeFactory Writer: lol, Iyan. [15:01] LifeFactory Writer: I meant, technically. No, the sim-specificity is a wonderful idea! [15:02] LifeFactory Writer: awaits meerkat session. [15:02] You: I am keen to understand how we could ensure that Africans participate more here in SL in terms of content creation…. [15:03] You: any thoughts on that Anna, KhoisanMermaid? [15:03] Anna Annenberg: collaborative projects or builds or art is always great too!!! [15:04] Khoisanmermaid Afarensis: can be brought in through cross sectoral work. [15:05] Yel Oh: is it the idea to build a very african centric community here, africans meeting africans, or are you thinking broader and looking to connect better with the wider world? [15:05] Khoisanmermaid Afarensis: has a wealth of knowledge and know how to offer. [15:06] Khoisanmermaid Afarensis: p;rofile this work at the forums where these networks exist in the world. [15:07] Enakai Ultsch: very cool idea KM!! [15:07] Anna Annenberg: Since the majority of content on the internet is created by individuals in the global north and developed countries, it is important that this imbalance is addressed. [15:07] Kwame Oh: without the access, to sl, is there anyway, we can take the mediam to the creatives in Africa , ie stand alone software, they can create on ? [15:07] Anna Annenberg: Alanagh I totally agree that African’s have so much to offer indeed!! [15:08] LifeFactory Writer: I have spoken with one or two people who have already been able to get onto SL via phone in a rough way, but the create tools are nto there yet. [15:08] Sca Shilova: since the new SL update my computer is not striong enough for SL anymore, makes me wonder what percentage of that 3.4% have a strong enough system… i guess about 0.0001%, or am i exaggerating? why don’t we have a pumped down version of SL, or do we? [15:09] You: Sca I believe there are light versions of Second Life…. [15:11] Alanagh Recreant listens to Khiosanmermaid…. [15:12] Khoisanmermaid Afarensis: that Africans emulate some Anglo Saxon idealand be deemed inadequate if they fail to meet that ideal..
[15:12] Khoisanmermaid Afarensis: but that they contribute and participate on their own terms in equal dialogue. [15:13] Yel Oh: Khoisanmermaid, what causes this alienation do you think? is it the environment, the language, the activities? or a lack of reflection in ones own familiar culture . .? [15:13] You: ok, here is a tough one… to hear the answer to… critical reflection for Uthango with its Virtual Africa project – Is it crazy to start with a savanah, a wildlife experience – in tems of content?? [15:14] Khoisanmermaid Afarensis: I think Alnagh’s suggestion of a conference would b good, but has to be planned with some serious RL work and research to provide a feasible and sustainable (hopefully) dialogue forum. [15:14] UTHANGO Viral Vendor 1.5 (6P) for Virtual Africa Final 08: Your vendor ‘UTHANGO Viral Vendor 1.5 (6P) for Virtual Africa Final 08’ at Bliss Garden Center (24, 52, 232) sold ‘African Bike (PinkLady) – Donate 2 Uthango!’ to Calnia Westland for L$750. [15:15] You: / Kwame, not only do they squeeze computer time in Africa -we also squeeze the experience into a handheld little application, and a social network like Facebook, still grows massively in Africa…. [15:16] Anna Annenberg: YESSSSS great idea!!! [15:17] You: also, Virtual Africa tries to combine other new media elements, like video – but again… the broadband cost for us! [15:17] Yel Oh: But once people are on the island what do you think will be successful ways to bring the culture here, to share and express to reduce the alienation? [15:18] Licenciada Saunders: Do the TED people take Lindens? [15:18] Khoisanmermaid Afarensis: SL Festival in Africa? [15:18] Anna Annenberg: yes it is indeed!!! the costs are crazy indeed!! [15:20] You: any of the panelists? [15:21] Khoisanmermaid Afarensis: I put myself as an Ambassador for Virtual Africa in the African Diaspora – and as part of the planning for the festival. [15:22] You: SLInworld, any closing remarks? [15:22] Khoisanmermaid Afarensis: Radio in SL – the African solution? [15:22] Khoisanmermaid Afarensis: Via Shoutcast? [15:24] Khoisanmermaid Afarensis: Yes, working closely with existent presence and groups and new ones that have the interest and can have the interest would be key to success. [15:26] You: our DJ for the rest of the event is DJ Doubledown! [15:26] You: and I thank all the guests and all the panelists…. [15:27] Kwame Oh: wants to know if there will be transcripts of meetings on web page ? [15:28] Tara Yeats: good, Alanagh! [15:28] SLinworld4 Planer: Thank you Alanagh! [15:29] Eladrienne Laval: Great discussion. Very insightful. [15:29] You: May you all be blessed…. [15:29] You: see you in a few! [15:30] Licenciada Saunders: what does “hamba kahle” mean please? [15:30] Khoisanmermaid Afarensis: It means go well. [15:36] You: ready to assist people with meerkats!??? [15:42] Licenciada Saunders: yeh how do I communicate back to my meerkat? [15:42] Meerkat HUD – D&D onto Avatar! whispers: Africa HUD ready! [15:43] You: and call the kat to you… he comes from the hole! [15:44] You: …those who wants to name your meerkat…. [15:47] Eladrienne Laval shouts: Rafetna…where are you??? 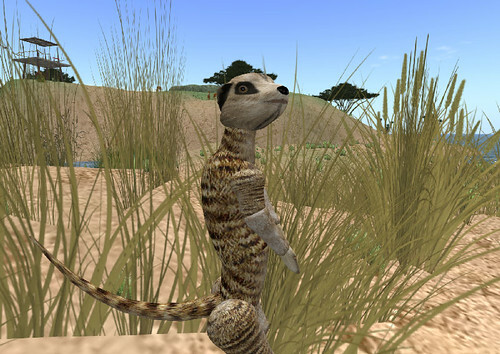 [15:50] Meerkat SIM Controller: Your Meerkat is somewhere on the SIM – go and find it! [15:50] Rufus: Some tasty bugs! [15:53] You: and it comes out from its hole! [15:54] Christy Cosmos: are you guys over there in the rushes trying to hide?? lol, we can all see you! [15:55] You shout: This is the time to thank an anonymous sponsor (angel investor) who made this possible… and also the Komm-Passion Interactive team – specially Jan and Volker (project manager)… THANK YOU ! [15:57] You: there are meerkats here without names! [15:57] Licenciada Saunders: yeh sorry, I ran over a mini lion a little while ago, sorry! [15:59] You shout: a special thank you to Aayia Jun who worked VERY hard on this island and manages our Robben Island! [15:59] Aayia Jun: thanks for the little pad out back for my chairs! [15:59] Meerkat_V6.0: Your Meerkat will wait in his den, until you pick it up from there. [15:59] Michaelangelo1 Nyle: Great fun here.))). [16:00] Aayia Jun: yes it is! [16:00] Meerkat Shop: To buy a meerkat, please right click on the object and select context menu pay. [16:00] Meerkat_V6.0: Your Meerkat will wait in his den, until you pick it up from there. [16:00] Michaelangelo1 Nyle: Very relaxing…. [16:00] Aayia Jun: this is great…. [16:22] You shout: Please join us at The Porcupine and chill a few moments on the bean bags! [16:29] You shout: Thank you to Doubledown Tandino for AWESOME music!! [16:29] Mimi Carpenter gave you Mimi Carpenter Press kit. [16:30] Doubledown Tandino: k take care Christy! [16:32] You shout: we will soon (very soon) go to the stunning AFRICAN RAIN on Robben Island! [16:32] You shout: please put away the meerkats in their den – and come back within 20 days or it will die! [16:32] Schizm Neutra: MEERKATS? YOU GOT MEERKATS? [16:33] IYan Writer: hi CyFishy! 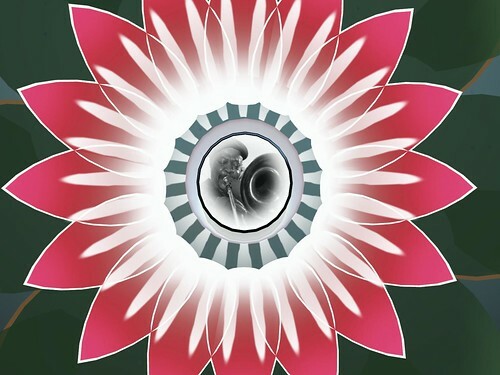 Note: Thank you to Eshi Otawara for a beautiful design! * Sorry, you had to BE there…* until…. [18:35] Second Life: Your region will restart in 3 minutes and 0 seconds for maintenance. [18:37] Second Life: Your region will restart in 1 minutes and 0 seconds for maintenance. THE END OF A GREAT EVENT! THANK YOU TO ALL INVOLVED… and a special word of thanks to ORANGE for hosting the event this year! Now we look forward to celebrate the real 27 May (Africa Day) in the real world – but then again, there was nothing more REAL about the day we spent with international friends in pixels…. I have never been more convinced of this fact, than on 24 April 2008. Contact us to support us, to to get some support! All the best for Virtual Africa!